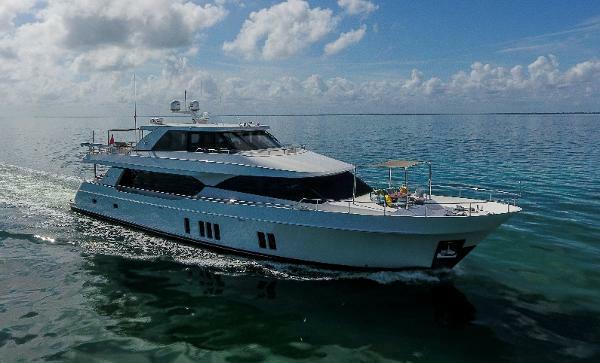 SOULSHINE is a 2015 Ocean Alexander 72 Pilothouse designed with luxury comforts of home and built to cruise for a short weekend getaway or for months at a time! She cruises through the water with twin Caterpillar C18 1150 HP engines with a combined 2300 HP. An upgraded flybridge air conditioner (24,000 BTU) ensures that you and your family and friends will be happy and comfortable either in port or traveling the high seas.SOULSHINE's teak swim platform offers an entrance into the crew’s quarters and leads to the aft deck. 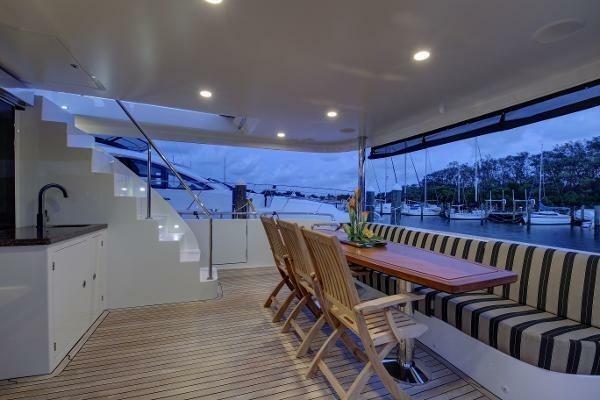 The aft deck has teak flooring and is a very well designed for entertaining with a wet bar & sink, and a refrigerator. The upgraded phantom screens for the salon and pilothouse doors will keep the bugs away. The salon is elegant with satin finish wood paneling and Sapelli wood cabinetry, granite counter top housing a LED 46” TV, sub-woofer, and enlarged windows for maximum lighting. This vessel boasts a fully upgraded galley with 30” Jenn-Air Electric Oven, 24” Jenn-Air Pull Out Shelves Dishwasher, and Whirlpool trash compactor. 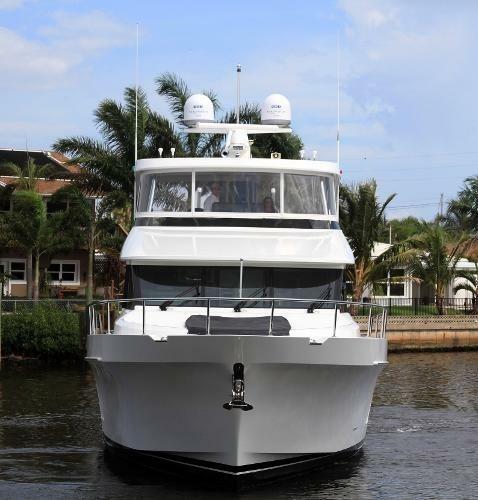 The galley’s sophistication is completed with granite counter tops, satin finish wood panels and Sapelli wood cabinetry, wood flooring, and plenty of storage.The master stateroom is accessed from the port side through a private entrance. The master offers a king sized berth which will allow you maximum relaxation while watching the 46” LED TV with DVD/CD player, or listening to music. Class and storage abounds with bureau with chest of drawers, two nightstands, storage under the bed, cedar-lined, and full-height hanging locker with auto lighting. This master stateroom has its own private head with an over sized shower. 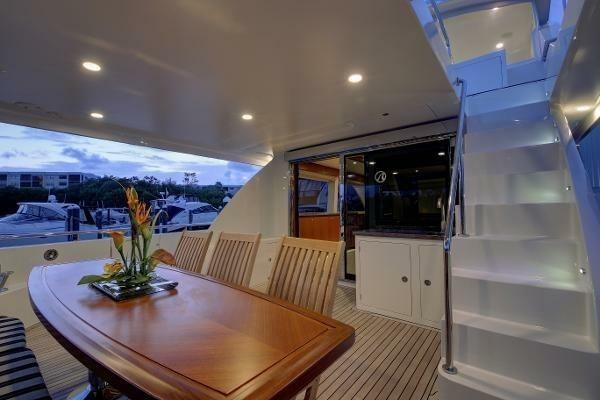 A separate staircase forward of the galley offers three additional staterooms. The VIP state room is located at the bow and has a queen sized berth. The second guestroom is located on the starboard side and has two twins while the third guest room is to the port.Owners or captains will enjoy numerous upgrades when piloting SOULSHINE. 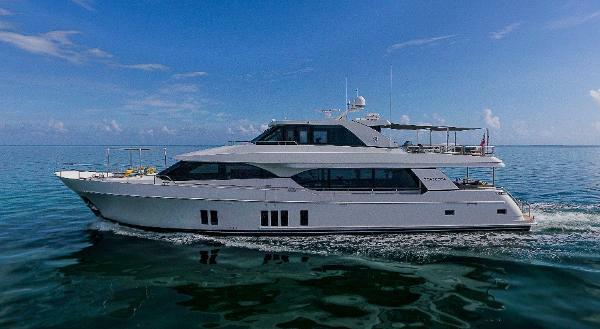 They include wireless yacht controller remote, second stabilizer monitor on flybridge, ACR search light with two remotes both on the pilothouse and flybridge, and flip down TV with DVD along with an Electric-Chef electric BBQ on the flybridge. 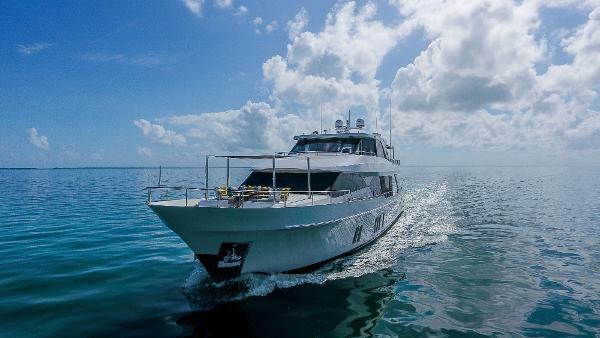 Mechanically, she also has upgraded Gulfcoast Fuel Polishing System and Oil Changing System, and an additional Kohler 23 KW genset generator. The fresh water system has been upgraded with a Sea Recovery 900 GPD Water Maker and a Sea Gull Water Purifier. The navigation is stocked with Garmin products including: dual 19" touch screens (upper and lower station), autopilot remote installed on helm chair, 12KW Open Array Radar, Autopilot VHF, Black Box sounder, AIS with NMEA GPS, MI 20 Digital Marine Multi-display, and Marine Cameras (two in engine room and one in aft deck). Superior quality materials used in the exterior construction and elegant decadence in the interior will be sure to impress!